Do your little ones love Andy Day and his dinosaur adventures? Our little boys, and in particular our youngest think Andy Day is the king of all things dinosaur related. They love to act out scenes from the show with their own dinosaurs and that includes dressing up as Andy of course. You have to have your explorer hat on to hunt for dinosaurs! There are tons of toy dinosaurs available to buy but hands down the best ones out there are the Schleich dinosaurs. The quality of these if you haven’t already come across them is fantastic. The paintwork and detail on each dinosaur is excellent and they seem so life-like. The attention to detail is quite something. Some of the dinosaurs have parts that move, such as arms, legs or even their jaws. Toys like these that help children bring their play to life are such a benefit I think, and children get so much out of this type of play. You will be surprised how quickly they learn the names of all the dinosaurs, even the ones with complex names. 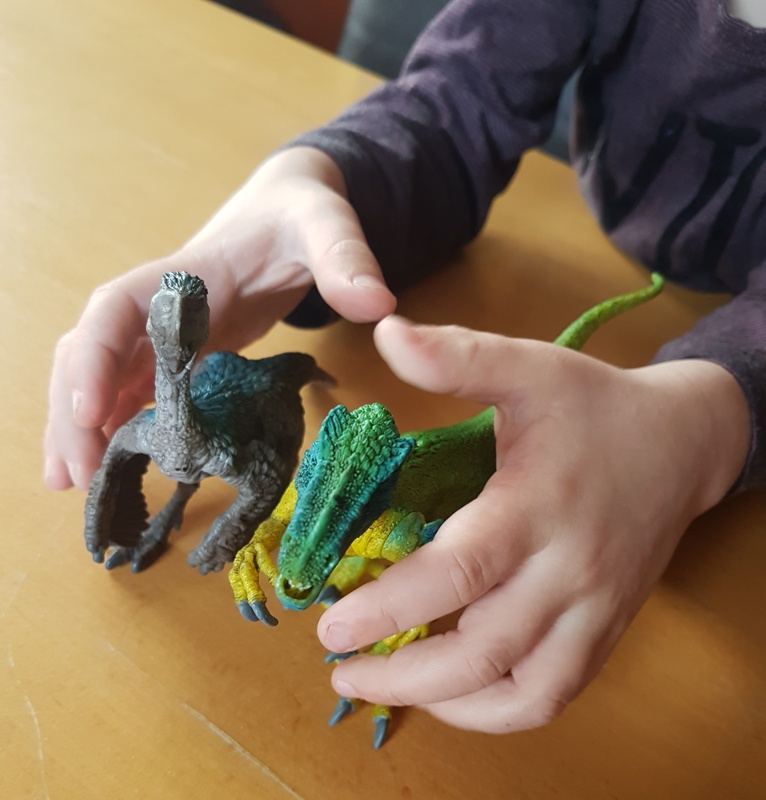 Our three year old lists off the names of about 20 dinosaurs with ease at the moment – it’s wonderful to watch, there’s something so fascinating about the wonderful world of the dinosaurs don’t you think? The Schleich dinosaurs have expanded their range this year, with even more dinosaurs available to buy in these impressive figurines. 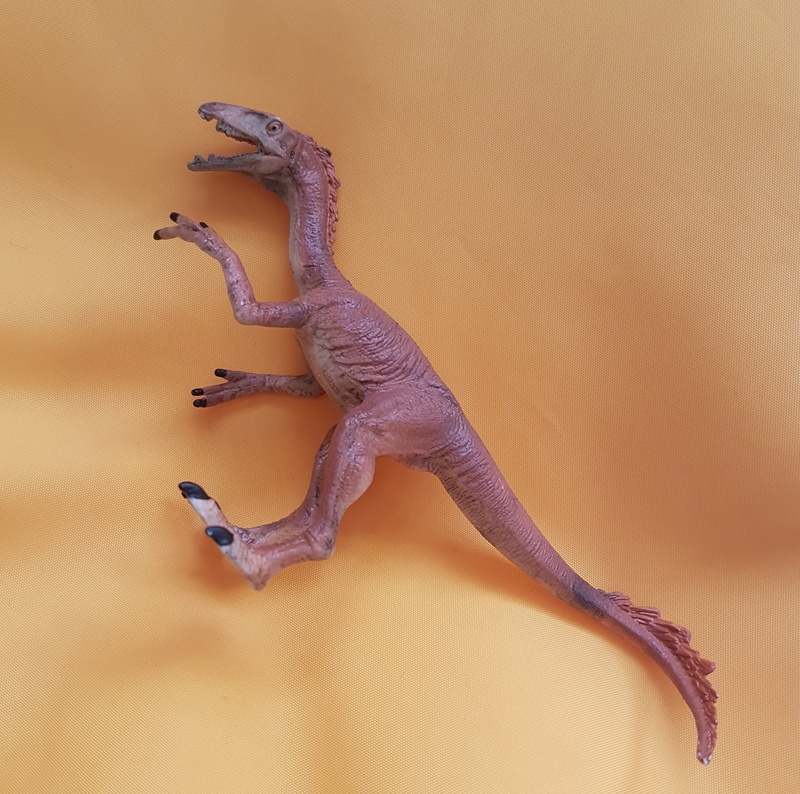 Three of the new ones include the Oviraptor, Tawa and this blue and green Velociraptor (which is one of the boys’ favourites). At £6.99 each, considering the quality, these are great value toys that will last years and years. They are VERY hard-wearing and can survive even the roughest of play, which is pretty impressive. We’d love to know if you have any of these figures, or if not which you think are the best. Let us know in a comment below.